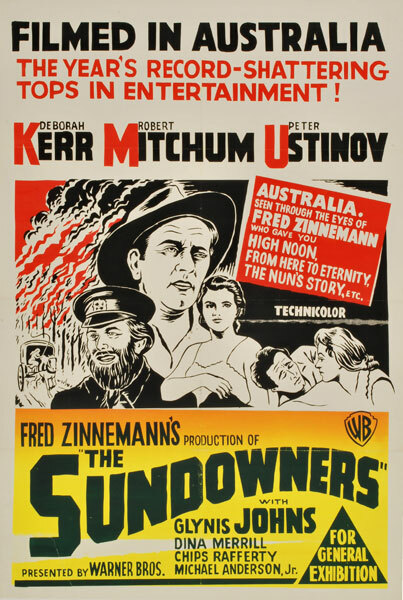 Directed by Fred Zinnemann, The Sundowners was nominated for a total of five Academy Awards: Best Picture, Best Actress in a Leading Role, Best Actress in a Supporting Role, Best Director, and finally Best Writing – Screenplay Based on Material from Another Medium. Though Robert Mitchum was not nominated for his performance, the film is deserving of a place in his “Greatest Classic Legends” set since it was regarded as one of the best of 1960 on the awards circuit. 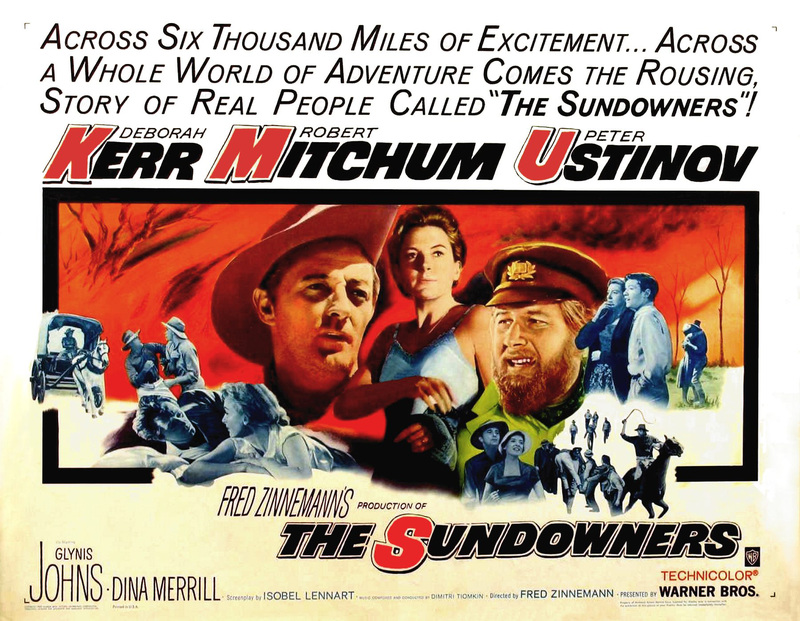 The Sundowners tells the story of Paddy (Mitchum) and Ida Carmody (Deborah Kerr), a couple who spend their lives traveling in a wagon with their son. Paddy works odd sheep-herding jobs to earn a little money, and the family owns no property. Their wagon is their home, and their life is an uncomplicated but generally happy one. Conflict arises as Ida and her son begin dreaming of having a farm of their own, and a house with four walls rather than four wheels. Paddy, a wanderer with no interest in the stresses of running a farm, is opposed to settling down. The Carmody family lives a simple life, and their disagreement is a simple one as well. Luckily, this doesn’t mean that The Sundowners is a dull film. There’s more to the story than the premise suggests. Peppered with action scenes and additional conflicts, the film also benefits from a beautiful setting (shot on location in Australia) and a strong cast. Well-acted by all involved, Deborah Kerr especially shines in this film. Great chemistry can be found between the cast as an ensemble and within particular character relationships (Kerr/Mitchum and Ustinov/Johns in particular). There’s also a pleasant surprise to be found in the Mitchum’s performance here: the accent! While not necessarily perfect, I must give credit for the effort put into Mr. Carmody’s voice. When I read the blurb on the back of the DVD case and saw that this film was set in Australia, I wasn’t sure an accent would even be attempted, much less attempted with some success. Good performances and lovely location-shooting aside, The Sundowners‘ appeal also comes from the fact that it so successfully captures the lifestyle and personalities of its nomadic, back-country characters. I always find old theatrical trailers fun to watch, so the inclusion of that is a bonus. This trailer puts a lot of emphasis on the fact that the film was shot on location and includes an “exciting, offbeat bunch” of characters. Even better is the “On Location” feature, five minutes of behind-the-scenes footage shot on set, narrated by Australian author Jon Cleary (writer of the film’s source material). Candid footage of the cast and crew is combined with tidbits about Australian wildlife and lifestyles.